The story follows blue-collar son Calogero Anello, who is tempted by the world of organized crime growing up in the Bronx in the 1960s. Can the lessons of his humble bus-driver father pull him out of a life of crime? In 1989, Chazz Palminteri staged the autobiographical one-man play “A Bronx Tale,” which caught the eye of Robert DeNiro, who directed and starred in the movie version in 1993. In 2016, it became a Broadway musical, which now hits the road for a U.S. national tour that swings through National Theatre in D.C. for a short run this Tuesday through Sunday only. The story follows blue-collar son Calogero Anello, who is tempted by the world of organized crime growing up in the Bronx in the 1960s. Can the lessons of his humble bus-driver father and a budding romance pull him out of a life of crime and keep him on the up and up? 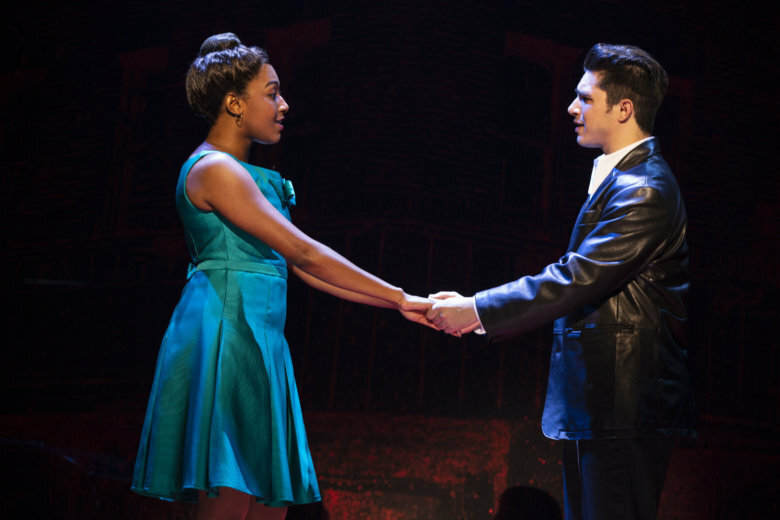 Barreiro is one of 11 alumni from the Broadway show: Joe Barbara as Sonny, Richard H. Blake as Lorenzo, Michelle Aravena as Rosina, Brianna-Marie Bell as Jane, Antonio Beverly as Tyrone, Frankie Leoni as Young Calogero and Shane Pry as Alternate Young Calogero. The show features music by two-time Oscar winner Alan Menken, who teamed with the late Howard Ashman on Disney’s “The Little Mermaid,” (1989), “Beauty and the Beast” (1991), “Aladdin” (1992) and “Pocahontas” (1995). In “A Bronx Tale,” he collaborates with Glenn Slater, who earned three Tony nominations for the Broadway musical versions of “The Little Mermaid,” “Sister Act” and “School of Rock.” Together, they create a doo-wop songbook. The throwback tunes are set to the choreography of Sergio Trujillo (“Memphis,” “Jersey Boys”). It all unfolds against the visual backdrop of the Bronx in the 1960s. In the end, the hope is that the show will appeal to folks of all tastes.